Here is our latest Video Update on Typhoon Kai-Tak (Formerly Bagyong Helen). The system made landfall as a typhoon earlier this morning along the coast of Leizhou Peninsula. Kai-Tak is now moving along the coast of Guangxi Province and could move into Northeastern Vietnam later tonight. The system will continue weakening but will still bring rains across much of Guangxi, Hainan, and Northern Vietnam. Kai-Tak is forecast to move north of Hanoi tomorrow morning (Saturday) and could dissipate as early as tomorrow evening. 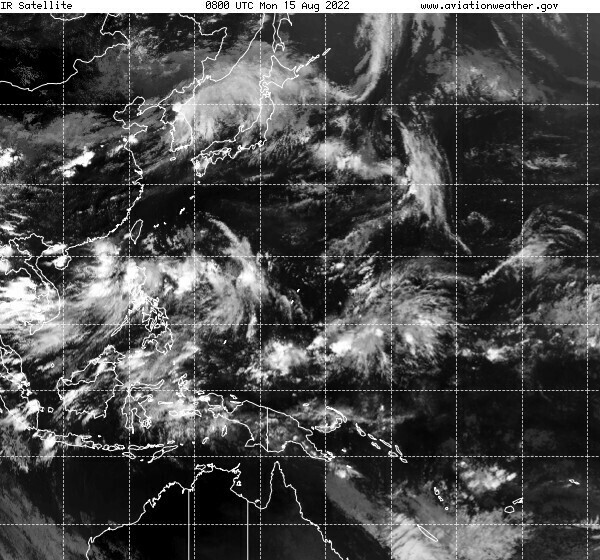 Also in the video, we take a look at yet another developing low pressure near the Philippines. Invest 96W could become a Tropical Cyclone in the next 2 days and could eventually affect Eastern Asia. Also, a weak LPA was spotted near Guam and could also develop in the next 3 to 5 days. We'll have our complete Text Update on Kai-Tak and the rest of the Pacific in about an hour.